Jellybooks founder Andrew Rhomberg identified eight common reasons why people buy books. Instant gratification is at the top of the list. Compare these book-buying motivations with yours. Rhomberg noticed that many people collect books they never read. 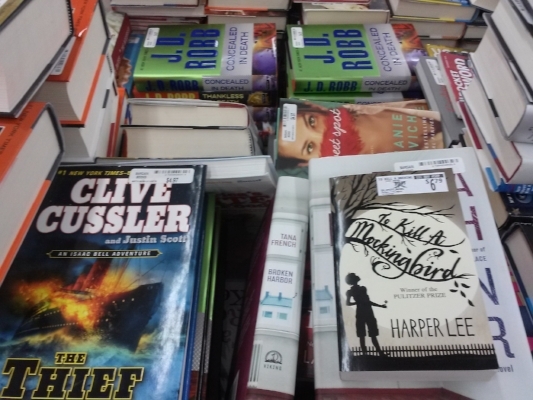 “One of the more interesting phenomena we observed was that there are books that sell well but are not read, or at least they appear not to be read by many of the people who buy or otherwise acquire them,” wrote Rhomberg in an article for Digital Book World. He identified the most common reasons why people buy books, which he said could be the basis of future research for his company. Jellybooks is a U.K.-based startup that conducts research on book discoverability and reader analytics. The first three and the last items certainly apply to me! How about you, why do you buy books? Leave a comment below.